We enjoyed one particularly lovely warm day this week and then it was back to snow (eek!) and cold on Tuesday. Needless to say, warming foods are still very much a part of the menu in this house. 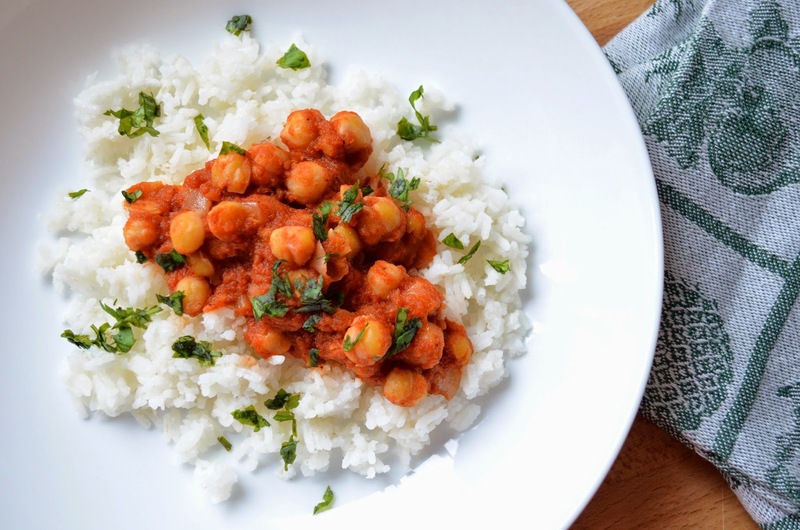 On Sunday afternoon, I was browsing through magazines when I spotted an easy, 30-minute Chickpea Tikka Masala recipe in Vegetarian Times magazine. I decided to make it for lunch (above). It was so easy to make and quite tasty. I happened to have fresh cilantro in the fridge to pretty it up a bit. I can't wait for summer when we once again have a pot of herbs growing outside the back door! 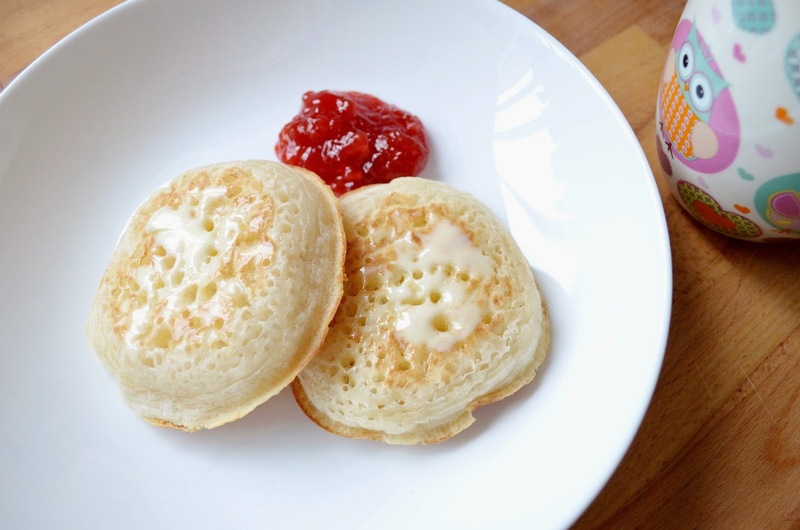 My Monday meals began with a breakfast of crumpets with jam and tea. Nutritionally deficient, yes, but nice for a treat occasionally! 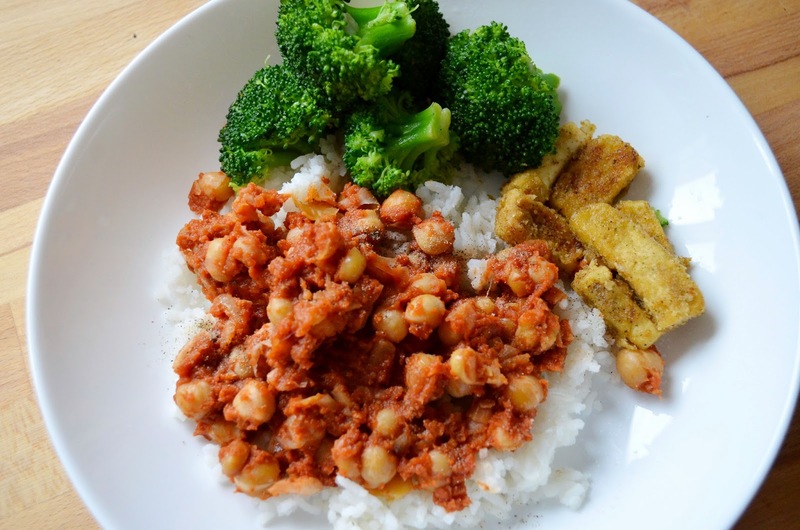 Lunch was leftover Chickpea Tikka Masala served with a couple of Sunday dinner leftovers - breaded tofu and steamed broccoli. 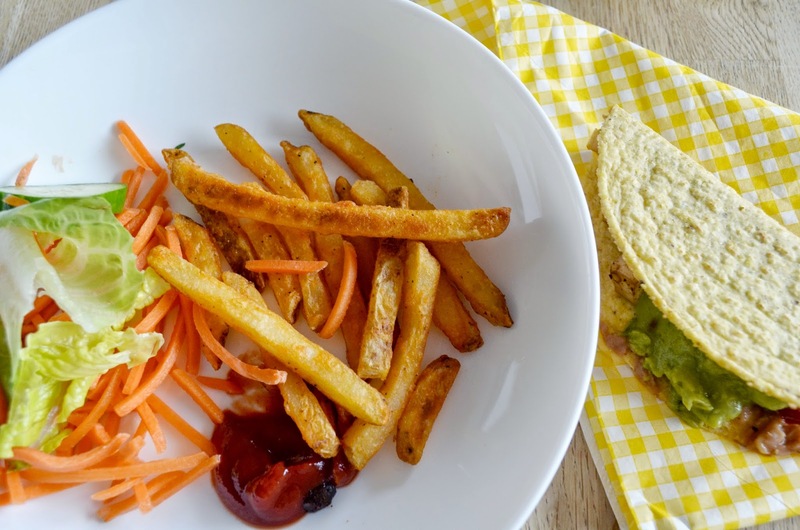 Gosh I show a lot of tacos on this blog! Truth be told, they are just an easy meal to fall back on. And the whole family likes them. We also had French fries and salad. 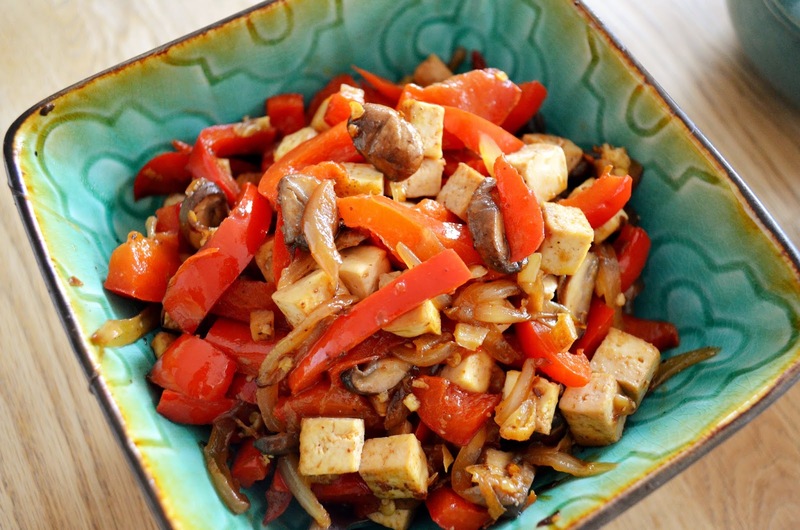 My husband made a huge quantity of tofu, peppers and onions to put in the tacos. So I decided to add the leftovers to a noodle stir-fry on Tuesday night. 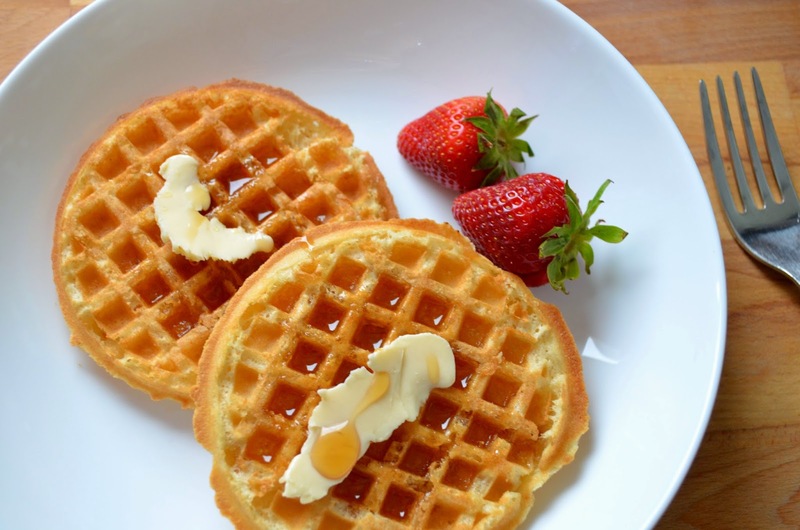 Apropos of nothing, I just wanted to mention (for you Canadian shoppers) that President's Choice has gluten-free waffles. I had them for breakfast on Tuesday and very much enjoyed them. I topped them with Earth Balance margarine and maple syrup. Also this week, I created a new recipe for McEwan Foods, using their delicious McEwan's Own miso sauce. The recipe is called Miso Glazed Tofu & Watercress Salad and I think it would make a great Easter dish for veggie folks! If you are looking for a special Easter dessert, or just a fun treat for the kids, these Vegan Mint Chocolate Brownie Cupcakes should do the trick! That tofu salad looks yum! I just might have to make this to add the family Easter spread !